Blood pressure is the force of the blood pushing against the artery walls. The force is generated with each heartbeat as blood is pumped from the heart into the blood vessels. The size and elasticity of the artery walls also affect blood pressure. Each time the heart beats (contracts and relaxes), pressure is created inside the arteries. Two numbers are recorded when measuring blood pressure. The top number, orsystolic pressure, refers to the pressure inside the artery when the heart contracts and pumps blood through the body. The bottom number, ordiastolic pressure, refers to the pressure inside the artery when the heart is at rest and is filling with blood. People in their middle to later adult years; women in this age group have higher blood pressure more often than men in this age group. Sometimes daily medicine is needed to control high blood pressure. If you have high blood pressure, have your blood pressure checked routinely and see your healthcare provider to monitor the condition. Experts recommend that kids ages 3 and older have their blood pressure checked each time they have regular checkups. Normal blood pressure in kids depends on their gender, age, and height. Parents and health care providers should urge kids with high blood pressure to make lifestyle changes. This includes losing weight, exercising more, and eating a healthier diet. A health care provider may also give a child medicine to help control blood pressure. Regular exercise helps control weight and may keep blood pressure in check. Regular exercise means 30 to 60 minutes of physical activity on most days. Activities that involve sitting should be limited to less than two hours a day. Most people worry about having high blood pressure. For a few people, but, low blood pressure, or hypotension, is a big worry. Normal blood pressure is less than 120/80. The National Heart, Lung, and Blood Institute defines hypotension as a blood pressure lower than 90/60. There is no lower limit that is deemed unhealthy. Older adults may have symptoms of dizziness and lightheadedness when their blood pressure drops lower than usual. But most people with blood pressure in the lower ranges are young and healthy, and have no symptoms. Medicine, including those for anxiety, heart problems, depression and other disease. Other prescription and over-the-counter medicines may cause low blood pressure when taken with drugs for high blood pressure. Postural hypotension, or a sudden decrease in pressure that occurs when you stand up after sitting or lying down. This can cause dizziness, blurred vision, and fainting. Heart problems, including an abnormally low heart rate, heart attack, and heart failure. Dehydration, shock, advanced diabetes, and thyroid problems. Some people have naturally low blood pressure because of their genes. 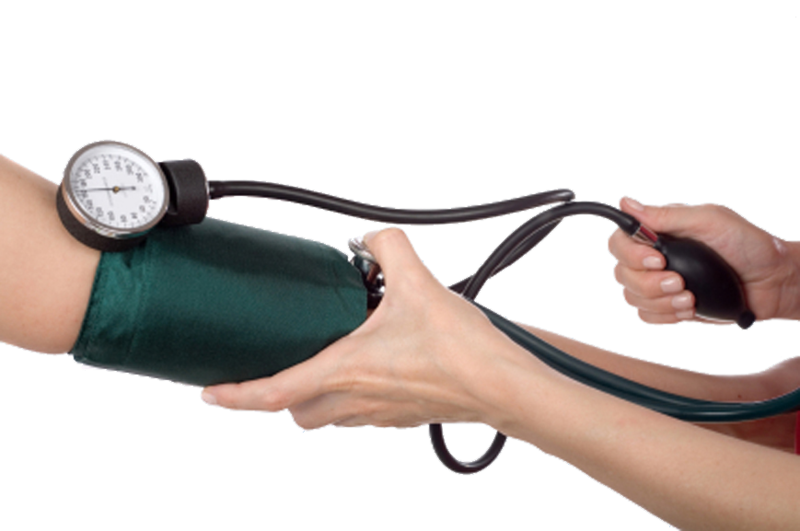 Many healthy people who do have low blood pressure and no symptoms require no treatment. Most people with continuing low blood pressure who have symptoms can be safely treated with medicine and lifestyle changes. Slow down. You may be able to reduce dizziness by taking it easy when you move from a disposed to a standing position. Instead of jumping out of bed in the morning, for instance, sit up on the edge before standing and wiggle your feet and move your legs. This will get your heart rate up and increase circulation.